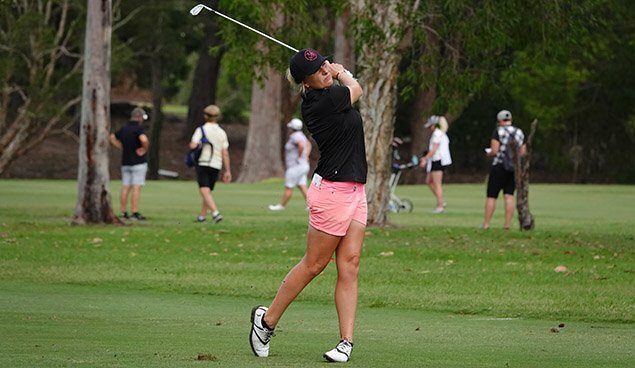 England’s Meghan MacLaren has won the 2018 Women’s NSW Open here at Coffs Harbour Golf Club. The 23 year old held on to win by two shots from a trio of golfer, Silvia Baron of Spain, Marta Engzleuis of Norway and Casey Danielson of the United States. 17 Year old Hannah Park of NSW GC was the low amateur at three under par. The challengers have come and gone and Meghan MacLaren still holds a commanding lead with only a handful of holes to play. Despite dropping a shot on the 13th the 23-year-old Englishwoman holds a three shot lead of her nearest challengers, the United States Casey Danielson and Norway’s Marita Engzelius. Danielson had a chance to get to nine under on the 16th however her short birdie putt slid by. Meghan MacLaren is still setting the pace, and is currently 11 under par mid-way through the final round. Wisconsin native, Casey Danielson, a graduate of Stanford in the United States has the round of the day going and is currently five under for the day and is the nearest challenger, and now only three shots back. Rebecca Artis has birdied the 8th and 9th to get to seven under and into a share of 3rd place alongside Silva Banon of Spain and Marita Engseluis of Norway. American visitor Casey Danielson and Forster-Tuncurry local Sarah Kemp have two of the rounds of the day going. Both currently seven under par and now tied for third. Kemp has posted birdies on the 3rd, 4th and 6th holes while Danielson birdied the 1st, 2nd, 7th and 8th, to grab a share of third place. 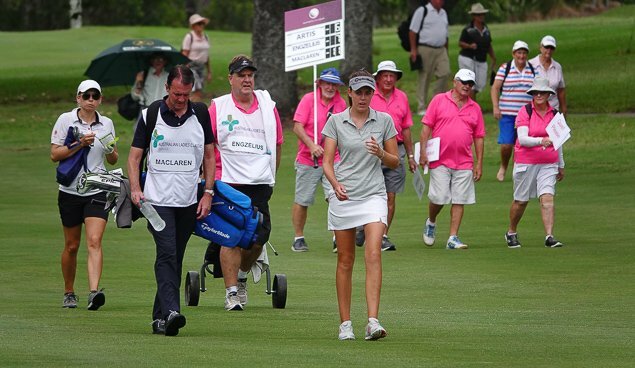 England’s Meghan MacLaren has increased her overnight lead from two to four shots and is now at 12 under par. 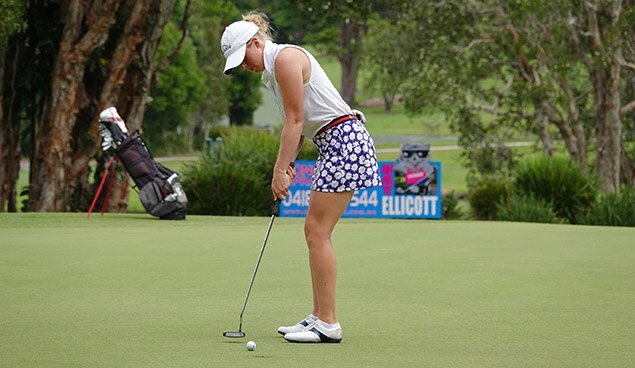 Lydia Hall, Casey Danielson and Felicity Johnson have all made a move early on the final day of the Women’s NSW Open here at Coffs Harbour. The trio all birdied the first two holes, with Hall from Wales adding a third birdie on the 4th to jump into outright third position at seven under par. Leader Meghan MacLaren has birdied the first to move three shots clear at 11 under. Taiwan’s Ji Rong has got it to three-under par after five holes to move into a tie for 15th alongside Sweden’s Jenny Haglund. 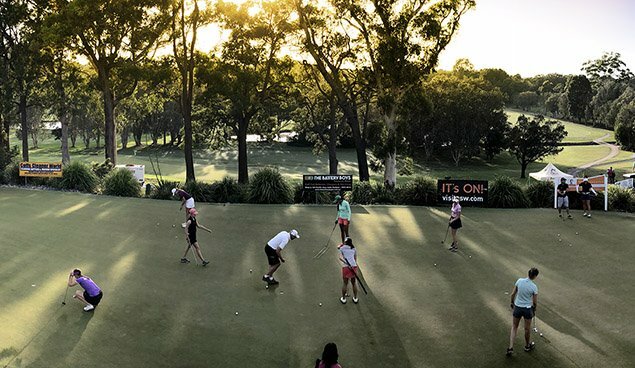 It’s a beautiful morning for championship Sunday at Coffs Harbour Golf Club and a new Women’s NSW Open Champion will be crowned this afternoon. With a chance of afternoon storms, play got underway early from the first and 10th tees with the leaders expected to hit off at 8.50am AEDT. Meghan MacLaren has a handy two shot lead over Norways’ Marita Engzeluis after the Englishwoman tamed the swirling Saturday afternoon winds to card a sensational five-under par 66. 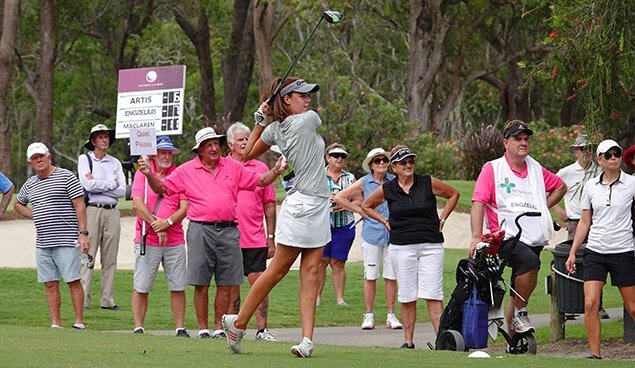 Another three players including first round leader Silvia Banon, New South Wales Rebecca Artis and Thai rookie, Pannarat Thanapolboonyaras are another three shots back at five-under par. Entry is free and spectators can follow all the action up close and personal with easy access to the course for all, or alternatively, you can follow the live scores right here.